Philanthropy - Why Indians lag behind? Though it is no where in the writing; a humble belief – for individuals and corporate both – is that more you give, the more you get (the rule of reciprocity). That’s being alive! 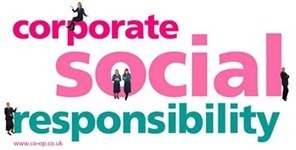 In the corporate world, this conscience is better known as Corporate Social Responsibility (CSR) – having responsibility for some aspect of corporate philanthropy – in a bid to make this world a better place for living and being convinced that communities need corporate support and partnerships for social initiatives to make that happen. In India, the business tycoons have huge appetites for lavish lifestyle spending; but little to show when it comes to community development goals that were perceived as separate from business objectives, until now. However, things are gradually changing on the organizational front as they realize that cutting-edge innovation and corporate well-being can result from weaving social and environmental considerations into the business strategy from the very beginning – be it in the form of charities along the lines of corporate resource contribution, public safety initiatives, health benefits programs or going green environmentally. So, what has kept the tycoons of India a laggard when it comes to committing their fortunes to charity, along the lines of Bill Gates and Warren Buffet – who have given more than $28-billion to their foundation and have pledged to give a significant portion of their remaining wealth to good causes? Going back into pre-liberalization era a decade ago, India’s true potential was still unrealized, and the growth of the Corporate India was fragile and future potential largely restricted to domestic operations. Under such economic scenario, Indians had little motivation to feel charitable, as they were already pre-occupied with holding out money for the rainy days, fraught with the era of license-raj. Furthermore, this also reminds me of how I was preached in my childhood to maintain a piggy-bank and inculcate the habit of savings in form of contributing a coin into the kitty on a daily basis. This very aspect has ensured that we Indians could sail through the recent global recession through high savings rate. However, along with this boon of saving religiously also came the sense of financial security (or rather insecurity) that limited our mental approach towards philanthropic activities. Though good deeds were initiated in the form of small donations to temples or offering help to poor housemaids or less privileged ones at local level; the cause of charity never reached a scale that formed a majority chunk of one’s personal income. This does not mean to say that Indian corporate entities do not undertake corporate social responsibility. We already have older firms like Tatas and Birlas and many others imbibing the case of social good in the form of public hospitals, education institutions and other social causes. But, CSR and Philanthropy activities are still at a very nascent stage in India and needs to grow by leaps and bounds until a substantial goal of alleviating poverty; and giving back the society as much as is acquired from it is achieved. JPC probe in 2G scam – thousand of crores lost on stalled Parliamentary proceedings! Nano makes a Comeback… And How! BharatMatrimony, as part of its corporate social responsibility (CSR) initiative, thought of connecting people with disabilities including physical impairment, mobility impairment, hemiplegia, spinal impairment, vision impairment, learning disability, quadriplegia and paraplegia. They offered the entire service – from registration to seeking the right match – for free. Aircel has got really good CSR campaigns. Kudos! Do Indian corporates really understand the meaning of Corporate Social Responsibility. Maximum efforts in this direction are just marketing campaigns wrapped up in the blanket of CSR. Recently, the “Save Tiger’ campaign by Aircel was a clear example. They were targeting their customer base with the “Save Tiger” advertisements and not the target population who actually kill tigers. Unfortunately, this target population live in the interiors of India and do not form a part of Aircel’c customer base. I doubt Aircel was able to take its message to even a single person wh owould be directly or indirectly involved in killing tigers. Actually, that’s what I mean to say in the article above. Most of the philanthrophic efforts put in by corporates are tagged along the lines of business marketing or promotion along with some social message. Coming to individual level, such efforts are limited to the extent of small aid-packages or donations, at best. But, they have hardly scaled higher levels such as a huge chunk of one’s personal income. This is where Western honchos have excelled over Indian tycoons.